Restaurants from all over Indianapolis will create their own unique burger to serve as sliders at Building Tomorrow's Annual Indy Burger Battle presented by Red Gold and you get to try each of them to decide whose is the most scrumptious(all tickets include 1 slider from each participating restaurant and 1 drink - water & beer available; must be 21+ for beer). 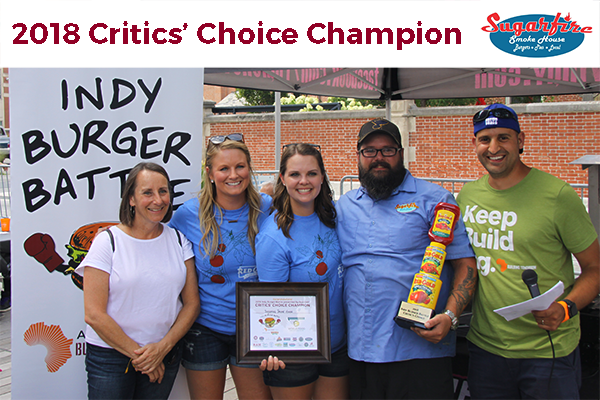 At the end of the day, your vote will determine the People's Choice winner and local celebrity judges will determine the Critics' Choice winner to crown the best burgers in Indianapolis! 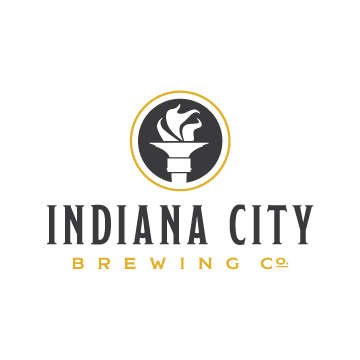 We hope you'll join us in enjoying a beautiful summer day outside on Georgia Street in Downtown Indianapolis with friends, music, beer/refreshments and the best burgers around! The Indy Burger Battle presented by Red Gold is organized by Building Tomorrow, a social-profit aimed at ensuring all children have access to an inclusive, quality education by galvanizing communities to support thriving schools in underserved areas. All proceeds from the event will go towards achieving this vision. Building Tomorrow's 2019 Indy Burger Battle presented by Red Gold is expected to attract 800 attendees in the heart of downtown Indianapolis. If you are interested in reaching a large, local audience, consider sponsoring the event by contacting Kate in our office at kate@buildingtomorrow.org or (317) 632-3545. Does your restaurant have what it takes to be crowned The Best Burger in Indy? 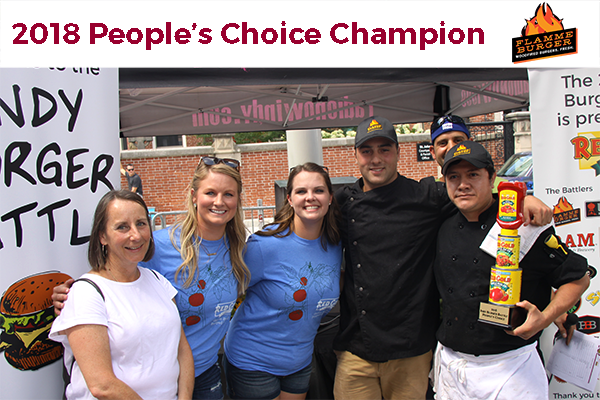 Prove it while gaining exposure to an expected 800 attendees by competing in Building Tomorrow's 2019 Indy Burger Battle presented by Red Gold. All area restaurants are welcome to apply to be entered into the competition. Another year, another super battle of the burgers! The 6th Annual Indy Burger Battle was the largest ever, with 17 restaurants battling it out for over 800 attendees (both record highs!). At the end of the day, via ticket sales, sponsorships, and generous commitments from donors, nearly $28,000 was raised for Building Tomorrow, a local nonprofit aimed at ensuring all children have access to an inclusive, quality education. That's only $2,000 shy of the cost to build a school in rural Uganda that will serve over 300 children who don't currently have an adequate school to attend! Thank you to everyone who attended, the restaurants, and all of our generous sponsors for your support in this awesome cause. See you next year! Sign up here if you are interested in competing this year. 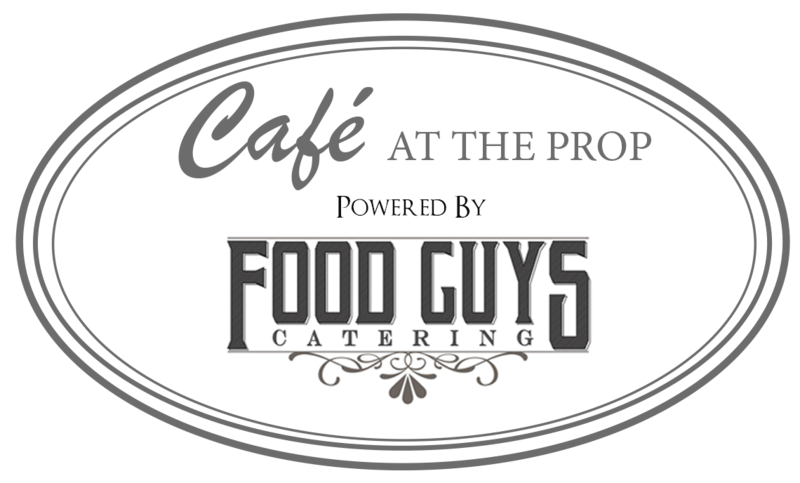 Thank you to all of our sponsors for Indy Burger Battle 2018! If you are interested in sponsoring the 2019 Indy Burger Battle, please contact Kate at kate@buildingtomorrow.org or call our office at (317) 632-3545. How many burgers do I get to eat? Each ticket entitles the ticket holder to sample one burger from each competing restaurant. We expect around 15 restaurants to compete each year. What if I know I won't eat all the burgers, can I split a ticket with a friend? Only 1 person per ticket will be allowed entrance. Just like you can't split the purchase of a restaurant buffet, we don't allow splitting tickets for this event. And we promise, you will fill up here more than at any restaurant buffet. Will there be drinks available to wash down all these burgers? Yes, every VIP Battle ticket comes with TWO free drink tickets, and every Regular Battle ticket comes with ONE free drink ticket. A drink ticket may be redeemed for 1 pour of beer from one of our brewery partners (must be at least 21 years old and show valid ID) or 1 non-alcoholic drink (bottled water and assorted soda) from our other drink partners. Additional beer, water and soda will be available for purchase. You may also bring in your own water in a clear container only; no other outside beverages will be allowed. Nope! All ages are welcome to experience the event. However, you must be at least 21 years old and present a valid ID to receive your free drink ticket(s) and enter the beer garden. Children under the age of 6 do not need a ticket to enter. When can I enter the event? VIP ticket holders may enter the event starting at 12 pm on event day. All other regular & youth ticket holders may enter the event starting at 1 pm. No early entry is allowed. How do I enter the event? Do I print my ticket or bring it on my phone? The entrance to the event will be on the corner of Illinois St. and W. Georgia St. in Downtown Indianapolis. You may either print your ticket or show it on your phone to be scanned and enter the event. Parking is available nearby for a fee in the World Wonders Garage at 100 S. Illinois St., and the Pan Am Plaza Garage at 201 S. Capitol Ave. There is also ample street parking for a fee around Downtown Indianapolis. I bought a ticket, but now I can't go. Can I get a refund? All ticket sales are final and refunds will not be provided. However, you may resell or transfer your ticket to another person. We will do our best to host the Indy Burger Battle even in the event of inclement weather, so please dress and prepare accordingly. In the case of extreme weather preventing grilling, the event may need to be cancelled and ticket purchasers will be notified. Unfortunately we CANNOT REFUND your ticket and your ticket purchase will be considered a donation to Building Tomorrow. Can I bring my dog or other pet to the event? Due to food safety concerns, we do not allow animals into the event. You didn't answer my question - what kind of FAQ is this?! Who can I contact if I have additional questions? We're sorry! Please contact the event organizer, local non-profit Building Tomorrow at 317-632-3545 or burgers@buildingtomorrow.org with any additional questions.